It's been awhile since I've done a completely arbitrary and totally opinionated (sort of) chart countdown on this blog, and with all of the potential buzzing right now by new artists with their debut singles, I figured I would take a look back at the best of the debut singles of artists in recent memory, in six painless installments (so keep an eye out). Take a look and reminisce. We're halfway through! Part 1 is here, and Part 2 is here. Music video is being blocked by YU. Check out this live performance of the song by the group from the early 90's. En Vogue is currently celebrating 20 years in the music business. "Hold On" served as their introduction to the R&B/pop market as the first single from their debut album Born to Sing, and was a marriage of Smokey Robinson's "Who's Lovin' You" (acapella, no less) seguing into a funky jam telling women of the world not to smother the men in their lives. The four women of En Vogue certainly started off on a high note -- the song went to #2 on the Hot 100, and topped the R&B and Dance charts, and won a Billboard Music Award, too. Since then, the group has gone on to sell over 20 million albums worldwide. 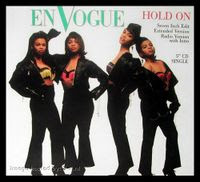 En Vogue's real solidifying moment would come two years later with the release of the Funky Divas album (featuring "My Lovin' (Never Gonna Get It)" and "Free Your Mind"), but most R&B fans today acknowledge them for the beauty that was 1996's "Don't Let Go (Love)" that, in my opinion, is in desperate need of being covered by a worthy girl group (say...Jada? How amazing would that be?). I've been a En Vogue fan since "Hold On", and Funky Divas was one of the first albums I ever owned. Despite their penchant for lineup changes (at one point, former "Mickey Mouse Club" member Rhona Bennett was a member), their vocals just can't be denied, even to this day. Very few girl groups exist in which all of its members can sing and sing well, and their voices mesh in such a way that they sound like a collective one voice rather than three or four put together. They just don't make 'em like this anymore, and when they do -- they are a rarity that should be adored. 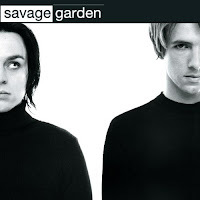 It's criminal that the Australian duo, Savage Garden, is so underrated. Their infectious brand of 1990's electro pop helped usher in the dancefloor music that fills our iTunes libraries today. Heck, Cascada wouldn't have half a big a hit list without their covers of SG! Despite only releasing two full length albums of original material between 1996 and 1999, just about every single released as mammoth radio hits around the world, and the band has sold over 25 million albums worldwide. "I Want You", their official debut went to #4 on the Hot 100, and was their highest charting uptempo single (as "Truly Madly Deeply" and "I Knew I Loved You" both hit #1). The song remains to tie with "To the Moon and Back" as my overall favorite by the group, thanks to its signature fast-paced lyrics (and of course, it's "Cherry Cola" line). After the duo split up in 2001, the lead singer, Darren Hayes, went on to release four solo albums beginning in 2002 with a fifth due for release in 2010. Daniel Jones, who was more of a musical participant in the group, has gone on to produce several Australian acts, and has launched his own record label. my god i loved the En Vogue debut album. I used to know all the talky bits to strange and teach the kids at camp in US how to say them in a british accent "i can't say 'whan' but it seems it all began when i felt an icy tingle down my spine". Brilliant. And the savage garden debut. Brilliant :) Second album - even better.